Why Is Spanish an Incredible Language? If you’re interested in learning a second language, you have plenty of options to choose from. There are more complicated ones, languages that take a lot longer to learn because they’re so different from English, languages like Chinese or Arabic for instance. However, if you’re looking for a language that you can master with relative ease, Spanish may catch your interest. If you’re interested in how to learn Spanish easily, then it helps to get a better understanding of the language to help keep you motivated and fuel your interest on your journey towards fluency. To help with that, here are a few facts about the language that will help give you additional perspective on the language as you work towards Spanish fluency. Spanish comes from the Vulgar Latin (a type of non-academic Latin) making it one of the Romance Languages. While Latin was centered in Rome and the Roman empire, the more it disseminated across Europe, the more it took on various forms depending on the region. Over time, these variations of the Vulgar Latin turned into the various Romance languages we have today. Spanish has a unique creation story that comes from the decree of a king. In the 1200s, King Alfonso X formalized the Castilian variation of Spanish as the main form of Spanish to be sued throughout Spain. This established its permanence and dominance over the other dialects of Spanish throughout the region. Spain grew to be a stable empire by 1492, when their armies succeeded defeating the last Moorish stronghold in Gernada. This established the boarders of Spain on the Iberian Peninsula and ended years of occupation by the Moors. After the stability of Spain was established, conquistadors spread out to the New World, looking to establish trade routes and colonies. These various established colonies took on Spanish and flourished, mainly throughout Middle and South America. After 1492, Arabic influence in Spain dwindled. However, after a historic trend of occupation and conquests from up until the 700s, there had been plenty of time for infusion of Arabic into the Spanish language. As Arabic conquests didn’t make it into the far north of Spain, there tends to be a lack of influence of Arabic on the Spanish language. Castilian Spanish, the primary dialect of Spanish, has a strong influence from the Arabic language. From over 4000 loanwords like “azúcar” meaning “sugar,” “al-khul” for “alcohol,” and “azul” meaning blue. The result of Castilian being the preferred dialect of Spanish has promoted these Arabic influences worldwide. Globally, over 400 million people speak Spanish. By 2050, 10 percent of the world will speak Spanish. And by that time, the country with the most Spanish speakers in the world will be the U.S. While the language is spoken in 44 countries, 21 of those countries consider it an official language. Its widespread impact makes it one of the most geographically spread languages, 4th in fact. Which Nation Has the Highest Concentration of Spanish Speakers? The U.S. has the second highest population of Spanish speakers in the world. Mexico leads the way with 121 million people speaking Spanish. Spanish is one of the easier languages to learn for native English speakers at 22 – 24 weeks. This makes it one of the most choses languages for native English speakers to study. Because it is much easier than other languages and because it is so widespread, there are several programs available to choose if you’re interested in foreign language fluency. Make sure you take time to find the the best language learning program to support your journey to Spanish fluency. There are a few unique characteristics about Spanish to keep in mind when studying the language. It has 17 different tenses for verbs because it uses “mood.” You also won’t need to keep an eye out for “e” because it’s the most popular letter in the Spanish. The “opening” question and exclamation marks is probably the most noticeable difference in Spanish grammar. It’s a highly effective tool to communicate the purpose of the statement right at the beginning. Exclamations start with (¡) and questions start with (¿). It is the only language in existence that does this. Other important characteristics about this centers on the fact that these marks don’t need to go at the beginning of the sentence, rather only the part that is a question or an exclamation. 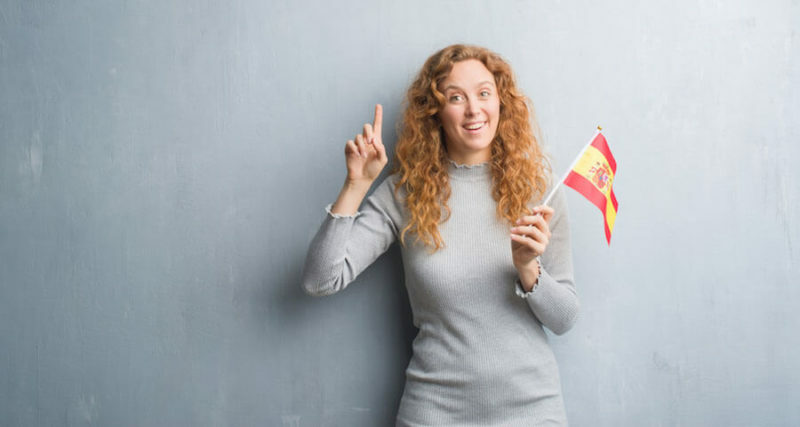 In Spanish, like with the other Romance languages and indeed many other languages in general, has an informal and formal “you.” When speaking Spanish, you’ll use “usted” for the formal greeting or to address professionals, elders, and strangers. However, “tú” is informal and used for friends and family. While there are a great deal of similarities between Spanish and English, there are plenty of fake similarities to be careful of as well. You want to keep these false cognates in mind, or fake relationships, when studying and speaking Spanish as they could lead to embarrassment. Largo: Means long, not large. Preservativo: You’ll want to stay clear of this word in any of the romance languages as it refers to condoms, not preservatives. While there are plenty of false cognates to be wary of, keep in mind that there are plenty of cognates as well that will easily help you build your vocabulary. Spanish also makes use of a lot of loanwords from the English language as well. There’s no way to say that you “like” something in Spanish. Instead you say, “Me gusta ___.” This is not the same thing. It means, “This please me” or that you “enjoy” something. You’re already taking steps towards fluency today. By learning the history of Spanish, you can better understand its variations and how it works. Knowing the language you want to be fluent in builds understanding and comfort as you work your way towards being able to speak Spanish fluently.